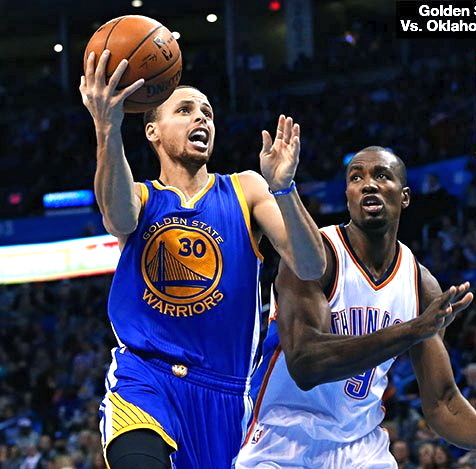 Crunch time of the epic Warriors-Thunder regular season game on 2016 February 27. 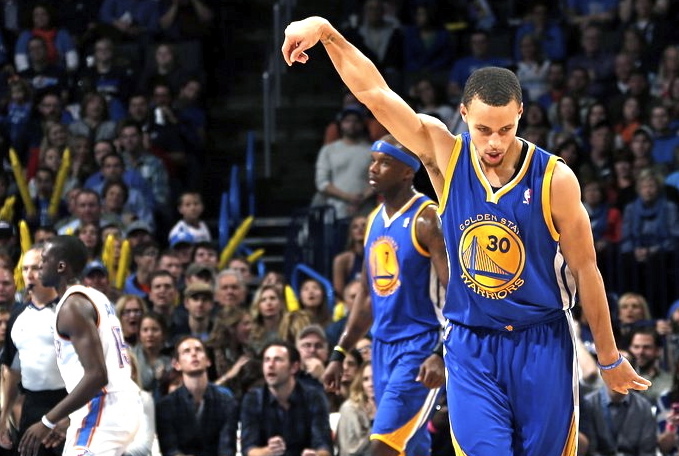 Steph Curry breaks his own record for most 3-pt FG’s made in a season. Stephen Curry and Klay Thompson were the primary catalysts behind the Golden State Warriors’ record-setting 73-win regular season, and they came up with signature performances Saturday night while facing elimination in Game 6 of the Western Conference Finals. 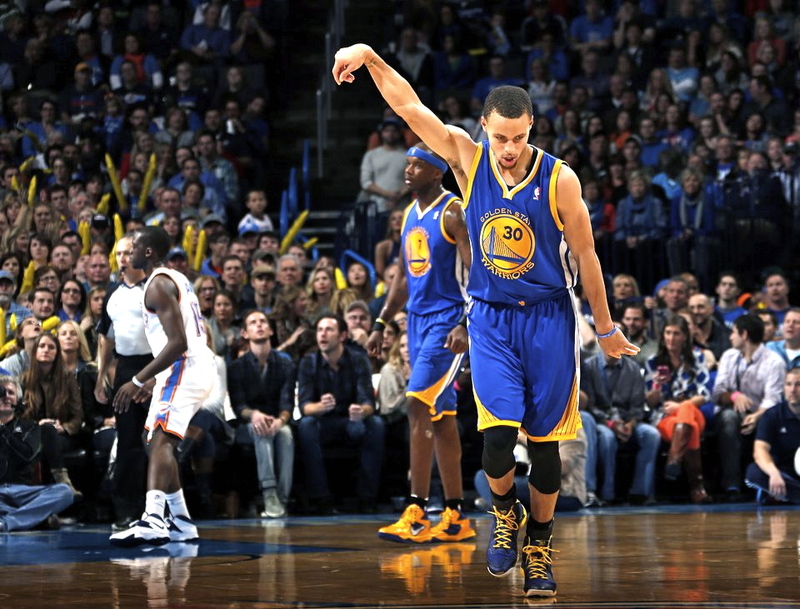 Although the defending champions trailed by eight points entering the fourth quarter, Thompson and Curry both erupted down the stretch, raining down three-pointers and silencing the Chesapeake Energy Arena crowd to capture a 108-101 win and force a Game 7 on Monday. 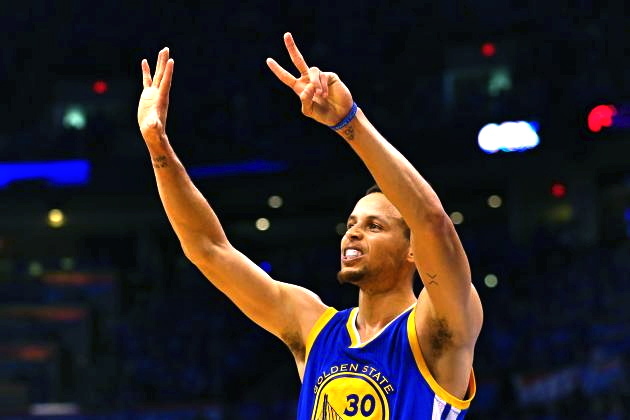 Curry flirted with a triple-double to the tune of 31 points (9-of-22 shooting, 6-of-13 from three), 10 rebounds and nine assists, but his late-game heroics wouldn’t have been possible if Thompson hadn’t set the stage with a flurry of triples in perhaps the finest performance of his postseason career. As a team, the Warriors knocked down 21 triples—shots that accounted for 58.3 percent of their total made field goals in the win. On the flip side, Oklahoma City shot 3-of-23 from beyond the arc, and Kevin Durant struggled with 29 points on 10-of-31 shooting, including 1-of-8 from three. Russell Westbrook added 28 points, 11 assists, nine rebounds and four steals, but those numbers were overshadowed by his late-game carelessness. According to ESPN Stats & Info, Westbrook committed four turnovers during the final 1:29 of the fourth quarter after having coughed the rock up just once prior to that. Because Westbrook couldn’t keep a grip on the ball in the game’s waning seconds, the Thunder lost the turnover battle, 15-14. 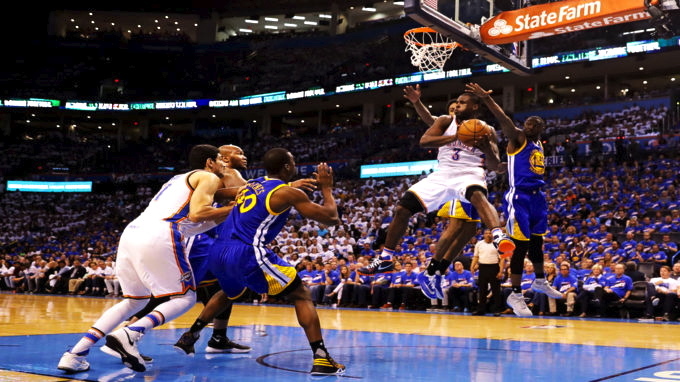 To date, the team that has committed more turnovers has lost every game in the series. And while the Thunder were doomed by the convergence of several factors, their inability to jump all over a Warriors team that stumbled out of the gates cost them in the end. The Cavaliers are returning to the NBA Finals for the 2nd consecutive season, after defeating the Toronto Raptors 4-2, securing their 3rd Eastern Conference Championship in franchise history. 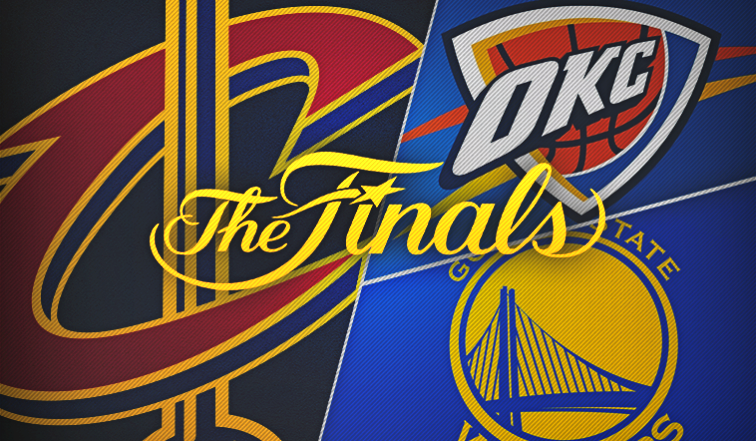 The Wine and Gold await their NBA Finals opponent – either the Oklahoma City Thunder or Golden State Warriors. The best-of-seven game series will follow a 2-2-1-1-1 format with the higher seed holding home court advantage. If the Cavaliers matchup with the Oklahoma City Thunder, the first two games of the NBA Finals would be at Quicken Loans Arena starting on Thursday, June 2nd. If the Golden State Warriors win the Western Conference Finals, the Wine & Gold would start out on the road in Oakland at Oracle Arena. FOX Sports Ohio will provide live pre- and postgame coverage before and after all Cavs playoffs games. Campy Russell and Jeff Phelps will host the shows with Fred McLeod, Austin Carr and Allie Clifton providing additional reporting and analysis. Former Cavs head coach Mike Fratello will also join select postgame shows as a guest analyst. All of the network’s playoff programming will stream on FOX Sports GO as well. All Cavaliers 2016 playoff games will be broadcast on WTAM 1100 and the Cavaliers Radio Network with John Michael, Jim Chones, and Mike Snyder. La MEGA 87.7 FM will broadcast all games in Spanish with Rafa Hernandez Brito providing the game call.